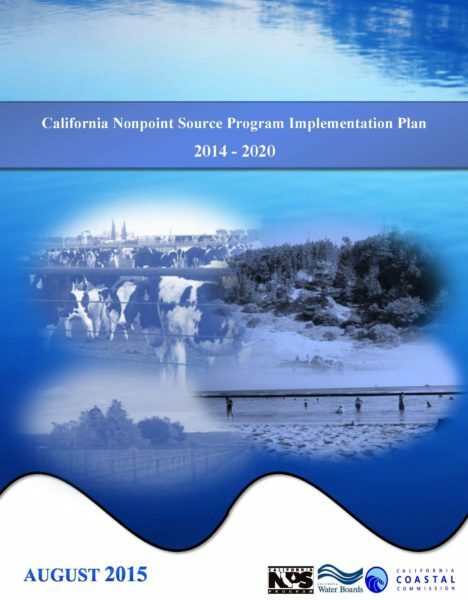 The 2014 - 2020 California Nonpoint Source (NPS) Program Implementation Plan (NPS Program Implementation Plan) describes how the State will be using its resources to effectively prevent NPS pollution from impacting surface water and groundwater in California. The vision for the CA NPS Program is to restore and protect the beneficial uses of the State’s waters through the reduction of NPS pollution and attaining water quality objectives. 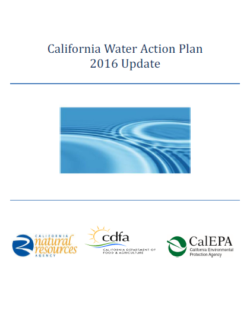 This document serves as an update to the CA NPS Program Plan as approved by U.S. EPA and NOAA in 2000. As such, California will continue to implement a comprehensive statewide program working to implement management measures to address NPS pollution consistent with U.S. EPA and National Oceanic and Atmospheric Administration approval. 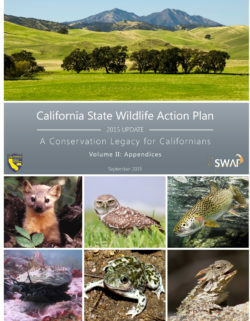 SWAP 2015 provides an ecosystem approach for conserving California’s fish and wildlife resources by identifying strategies intended to improve conditions of Species of Greatest Conservation Need (SGCN) and the habitats upon which they depend (see Figure 1 of the Executive Summary). 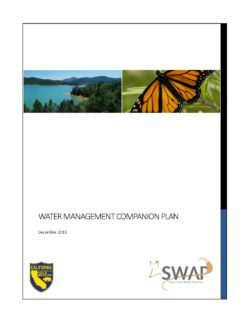 CDFW designed SWAP 2015 to guide resource managers, conservation partners, and the public in how they can directly or indirectly participate in conserving California’s precious natural heritage. This section provides an overview of the structure of SWAP 2015 to help readers navigate through the document and find information. 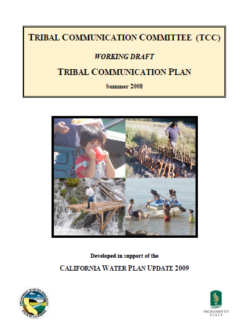 Executive Summary provides a summary of: the vision for wildlife conservation in California; statewide goals; the process used to develop conservation strategies based on an ecosystem approach; conservation targets and strategies for seven provinces and anadromous fish; statewide summary; plans for integration and implementation; and process for adaptive management and monitoring. Chapter 1 provides an introduction to SWAP 2015. 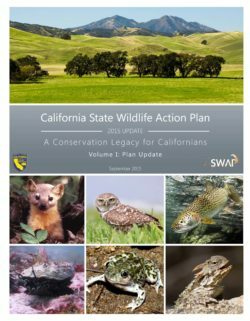 The challenge of sustaining biodiversity, a summary of CDFW responsibility, and the vision for California wildlife conservation are described. Chapter 1 also explains the requirements for updating SWAP, summarizes major changes since the original 2005 SWAP, and describes the analytical approach used in the 2015 update. Chapter 2 describes California’s natural diversity, identifies SGCN and the criteria used to evaluate species and habitat conditions, and addresses major pressures and stresses currently affecting the SGCN and their habitats. 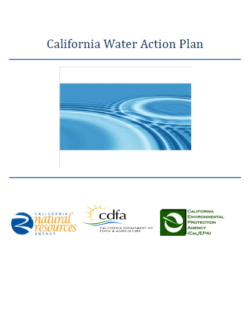 Chapter 3 describes the existing conservation approaches in the state, including the major regulations protecting natural resources, CDFW planning tools, and major conservation programs. Chapter 4 presents the statewide goals of SWAP 2015 and broad, state-level conservation strategies that will be implemented to achieve the desired conservation outcomes. Chapter 5 is divided into seven sections that describe for each geographic province the conservation targets, SGCN and other focal species, KEAs, stresses, pressures, and conservation strategies, including goals and objectives for the provinces. 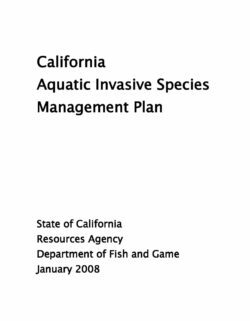 Chapter 6 focuses on conservation strategies developed for anadromous fish in California. Chapter 7 describes how SWAP 2015 will be integrated with other programs and coordinated with partners for the implementation, including through companion plans. 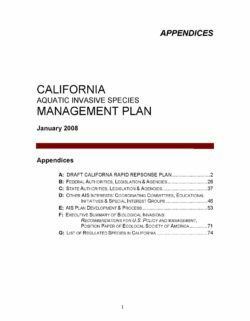 Chapter 8 describes the monitoring plan for the conservation strategies, including the mandate for CDFW to use monitoring and adaptive management. It also presents a summary of the effectiveness evaluation of how SWAP 2005 was implemented. The chapter describes how the recommendations from the SWAP 2005 evaluation have been integrated into SWAP 2015. Rationales for selecting conservation strategies presented in SWAP 2015 and a framework for monitoring the effectiveness of the strategies are also described. Chapter 9 provides the list of preparers of SWAP 2015. Chapter 10 provides bibliographic references used in each chapter. Chapter 11 provides a glossary of major terms used in SWAP 2015. Several appendices accompany SWAP 2015 to provide more detailed information and extensive tables that support the document. Database files created during the development of SWAP 2015 to compile and evaluate ecological information and to create strategies can be accessed at: http://www.dfg.ca.gov/SWAP/.